After days (at least 7, lost count) of blazing sun, we received some much needed rain. 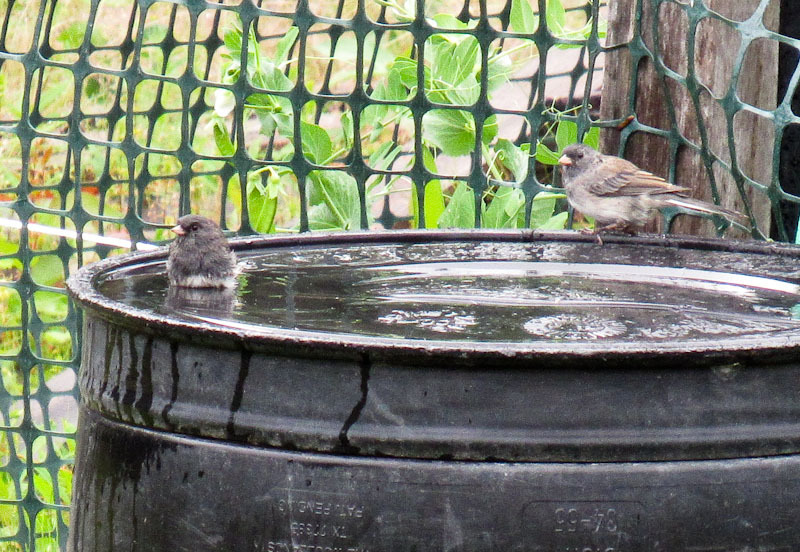 These little birds took advantage of water that collected on the lid of a barrel down by our garden. 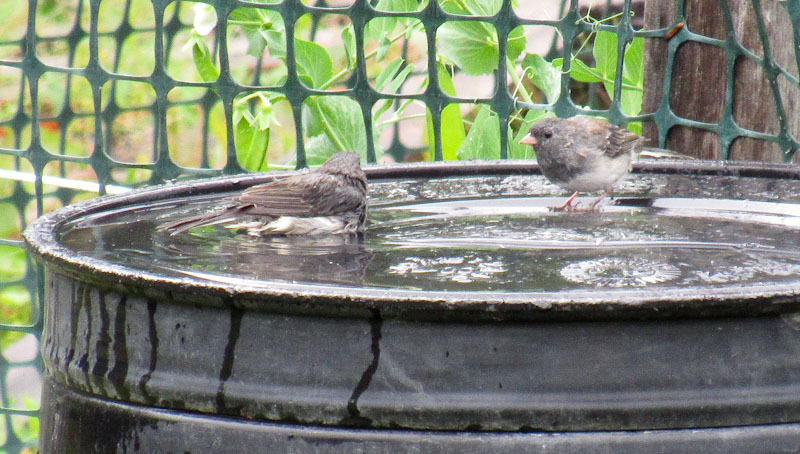 I took this from a long distance with max zoom and still cropped it, so the picture quality is not that great, but I liked their antics, especially the one admiring him/her self after the bath. Love these, Marilyn! The contrast of the green foliage against the soft grey is lovely. 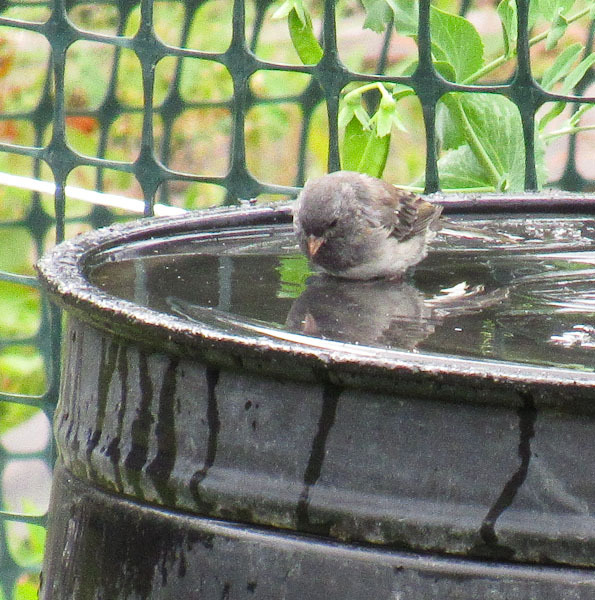 In the last photo, “Tweety” seems to be admiring his/her own reflection! Amazing what a bath will do for you! Thanks, Sartenada. I’ve been waiting for more mushrooms, but with our lack of rain their appearance seems to be delayed.